Come Sip-N-Scribe! | No, YOU Tell It! We’re super excited for our first “Mayday” story meeting tomorrow! Save the date for the show – May 10th – at The Astoria Bookshop. More info on the switched-up storytellers soon. Want to get in on the writing? 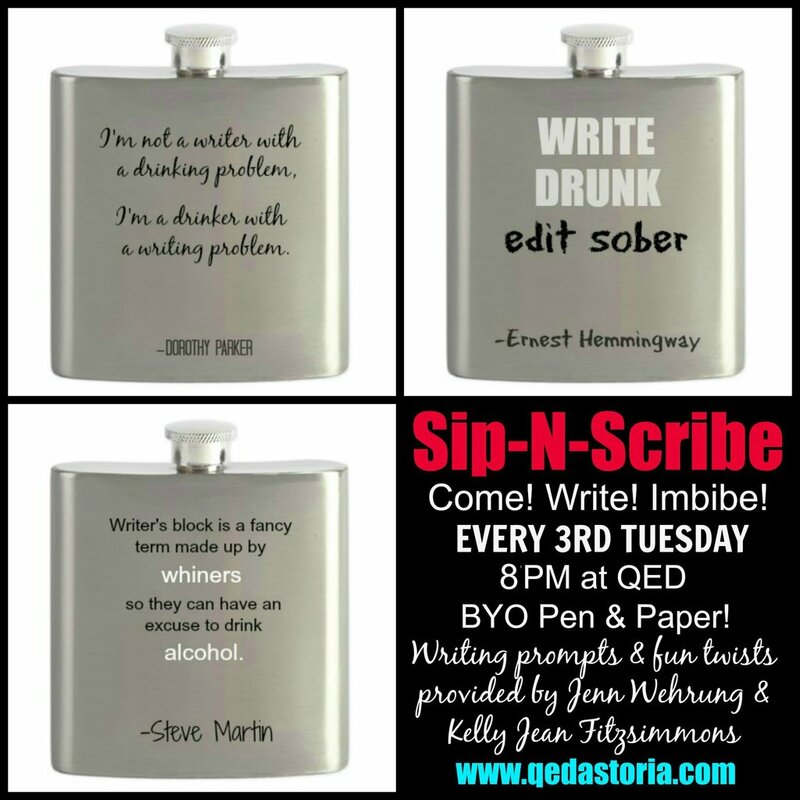 Come Sip-N-Scribe at QED in Astoria the THIRD TUESDAY every month at 8 pm with our own Kelly Jean Fitzsimmons and alum Jenn Wehrung. 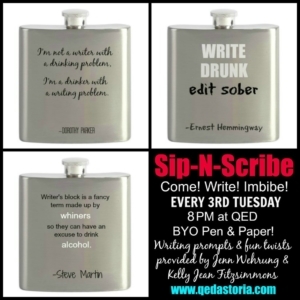 Sip-N-Scribe is a fun evening of creative writing prompts, idea swapping, and drink-sipping. The goal is to experiment with something new on the page in an informal, relaxed way, all while enjoying an evening out with your friends while making new ones.